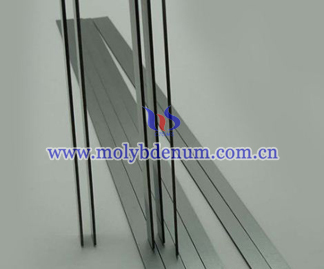 Molybdenum is an element, whose density can reach 10.2g/cm3. 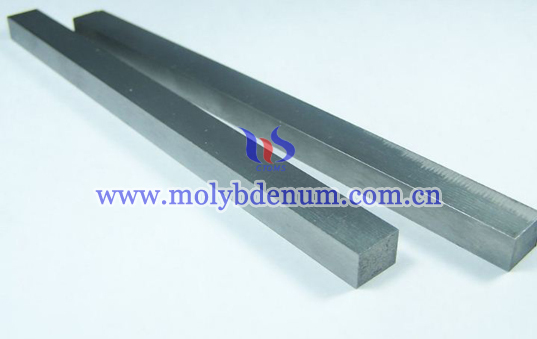 molybdenum is not only used as pure molybdenum, but mostly with alloyed elements. About 86% molybdenum products are used in metallurgical applications with the rest of molybdenum used as compounds in chemical applications. Estimated fractional global industrial use of molybdenum is structural steel 35%, stainless steel 25%, chemicals 14%, tool & high-speed steels 9%, cast iron 6%, molybdenum elemental metal 6%, and superalloys, 5% as posted in Wiki. With high temperature resistance, molybdenum is also widely used in parts of armor, aircraft parts, electrical contacts, industrial motors and filaments. Hot runner molybdenum bar is a kind of alloyed bar, called TZM alloy bar. TZM (Mo (~99%), Ti (~0.5%), Zr (~0.08%) and some C) is a corrosion-resisting molybdenum superalloy that resists molten fluoride salts at temperatures above 1,300 °C (2,370 °F). It has about twice the strength of pure Mo, and is more ductile and more weldable, yet in tests it resisted corrosion of a standard eutectic salt (FLiBe) and salt vapors used in molten salt reactors for 1100 hours with so little corrosion that it was difficult to measure.